Let the record show that I will never, ever, ever do a braidout again! I attempted to do a braidout this weekend. I did it on wet hair and my first thought when I finished was 1. That took way too long. 2. Why are my braids so skinny?! There was ZERO fullness and plump to my braids, which is what I usually get with twists. I still had high hopes for a decent braidout because the braids looked pretty neat. The next morning I was very careful in unraveling my hair because that’s key to having good definition and less frizz. When I tell you, it probably took me just as long to unbraid my hair as it did to braid it, believe me! I’m guessing at least 45 min to unbraid. Maybe I braid too tight? No clue. But I thought to myself that if it was cute, then it would certainly be worth the time. I was dead wrong! It came out horrible! The wave pattern wasn’t consistent. For some reason, it made my hair look extremely uneven. It was just all wrong. When things go wrong, you go back to old faithful! 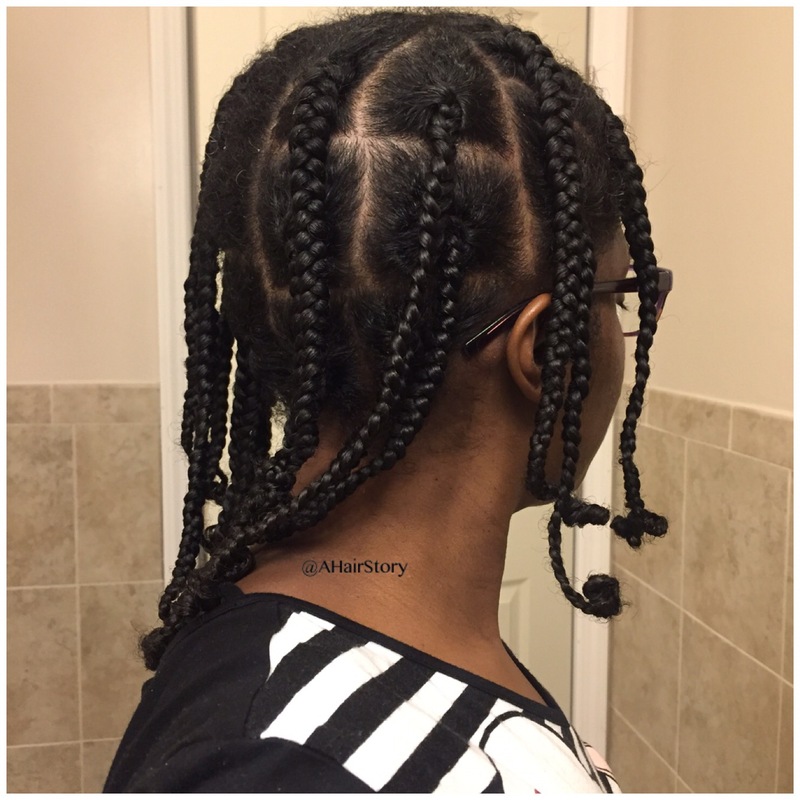 I was originally planning to rebraid it that night and see what a braidout on dry hair would look like, but I just couldn’t risk looking crazy again, so I twisted it instead. 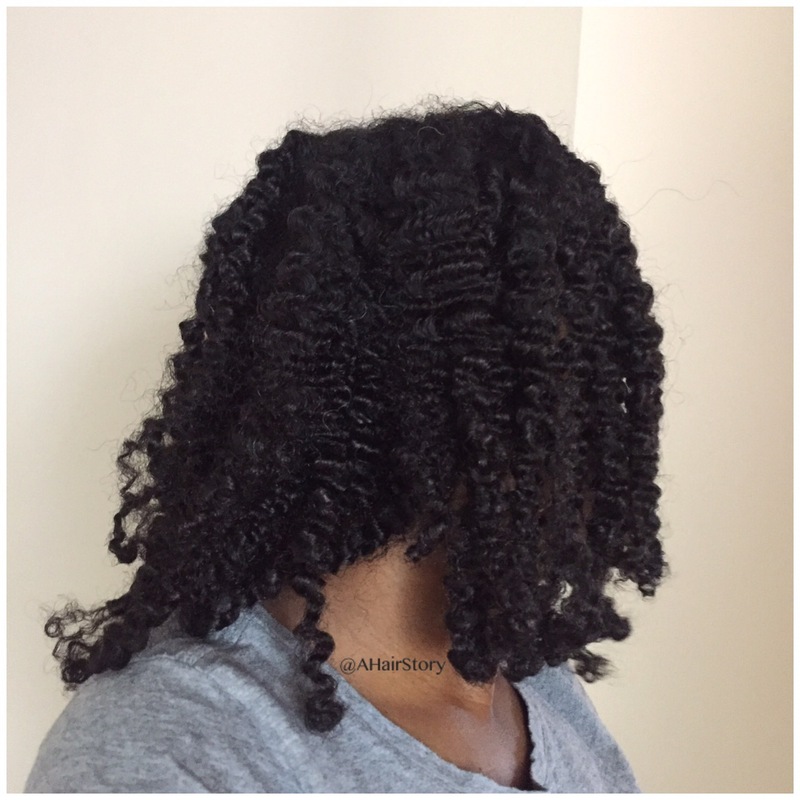 I’ve realized that braids/braidouts work great for some people, but twists/twistouts work better for others. I think it may be related to your curl pattern. My hair is very curly and seems to twist on itself, which leads to excellent definition. Which do you prefer? Braidouts or twistouts? Agreed! Twists definitely suit my curl pattern better. Yup! My hair is just so much better twisted than braided. I maaayyyyy try it once more with bigger braids, but not anytime soon. IMO, smaller braids CAN look erratic, but I get pretty decent results w/larger (fatter) braids. I still prefer twistouts though. One day (not in the near future), I’ll try a braidout with bigger braids and see. I have had the same thing happen to me with braid-outs. There was definition, but the curl pattern was so inconsistent. It also took me a lot longer, too. 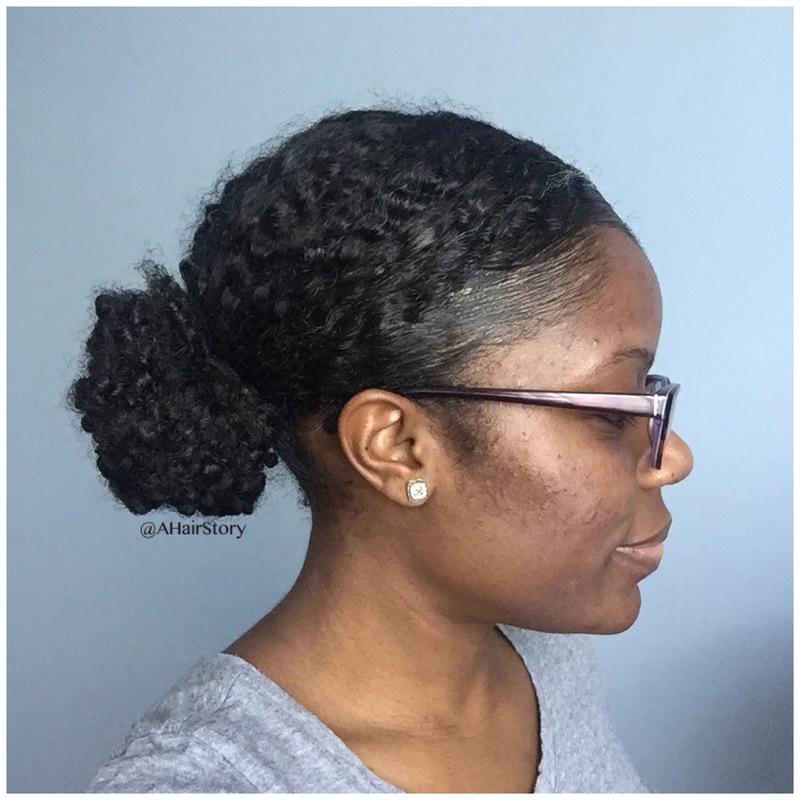 I just stick with twist-outs and my faithful bun. Sounds like me. Twists and buns. Lol. I definitely wasn’t a fan of the curl pattern (or lack thereof) a braidout gave me. Well you already know that braid outa work for me. My twist out was horrendous! !